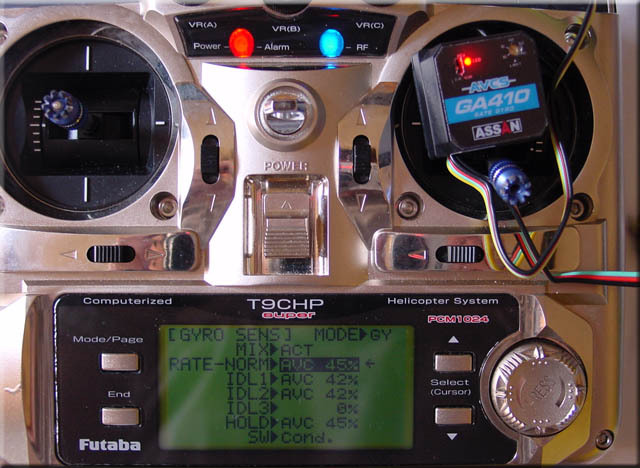 As I’m not a common pilot, I like to give a try to unknown or new electronic devices in Europe. 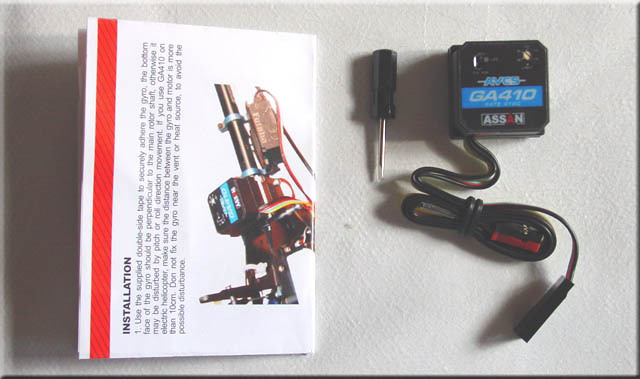 Going a long surfing on the net I’ve found a new gyroscope the GA410. 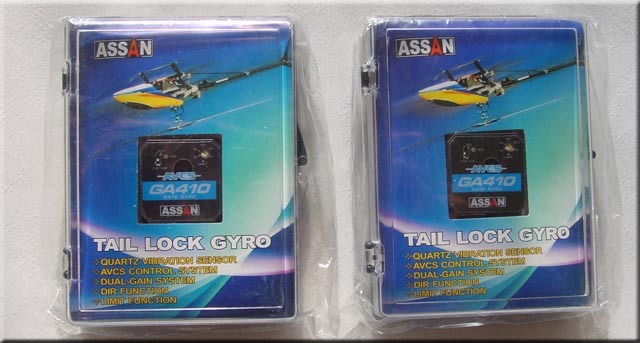 After a couple of mails with the manufacturer saying I’d like to try his gyro I receive two samples of them. I’ve to say a big thank to Mister WANG for the trust he place on me as the gyros were sent free. 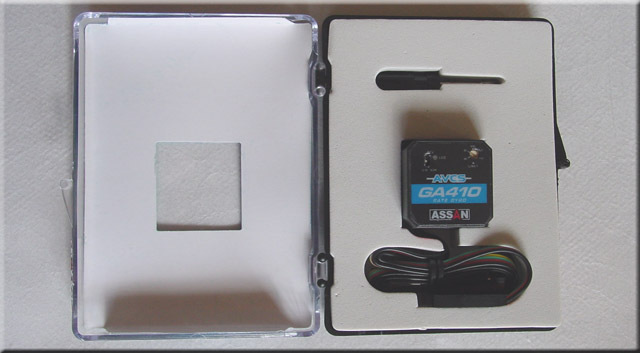 The two GA410 samples were sent by Wang from Assan society from Beijing. Look at those colours full boxes. The opening, every thing is well packed. What is inside: gyro, screw driver, manual the only thing not included is the soft taper. 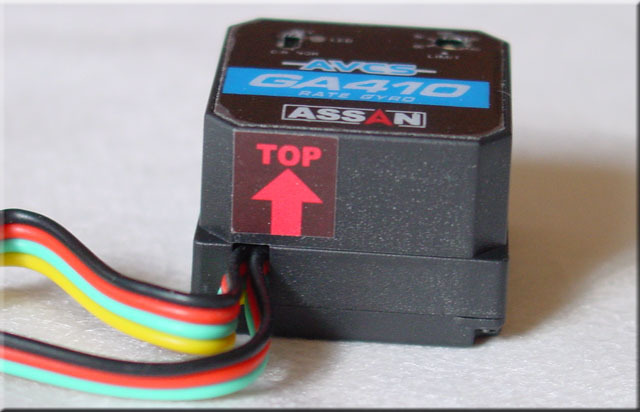 Close up of the GA 410. As U can see, same dimension as the GY401. 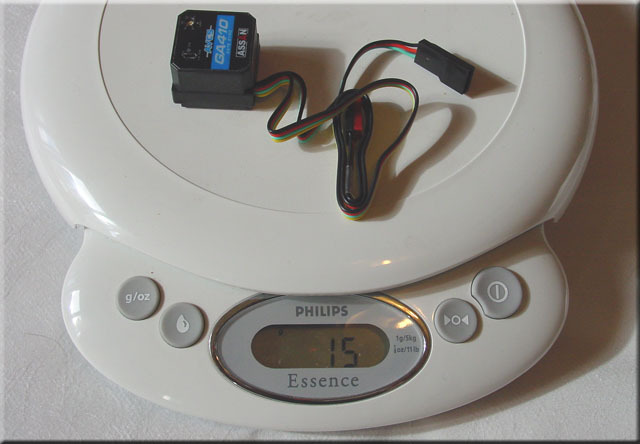 15 grammes as said on the manual. Setting up is easy, same way as the GY401. First setup the neutral position in normal mode, then the mechanical limits with the screw driver on the limit slot on the gyro. On your radio U have to adjust the gain in normal mode or AVC mode. Red led is off when in normal mode. In AVC mode red light is on. 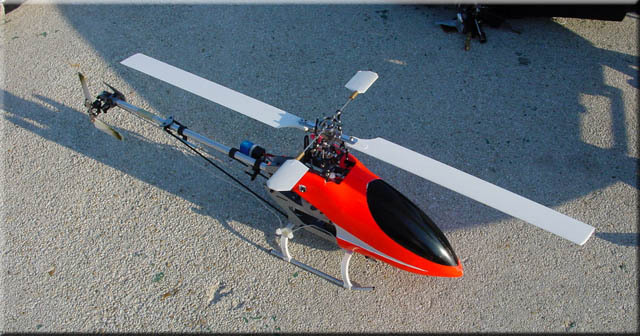 The second heli that will also test the gyro is the EP200 of my friend stephane. Seems to be big but it fits in those narrow frames. During loops, rolls, huge flips with big collective pith, chaos and tic tocs the tail boom hold on, there is no wag. Doing really fast backward moves the tail boom wags a lot as if there was too gain but the heli won’t change for backward to front flight. As soon as U don’t do really fast backward flight the tail will hold on really good. Piroeting rate is linear on both side but doing higth speed piroeting and realese the stick the stops are not that precises but this is not a big trouble. All the problem that we have on the XT-50 are much more amplified. On the higth speed backward flight the wagging is bigger (quite double) but the heli continue on backward flight. On the right fast side way flight the boom tend to returne on the flight axle, slowly the helicopter nose return to normal flight in about 50 meters. 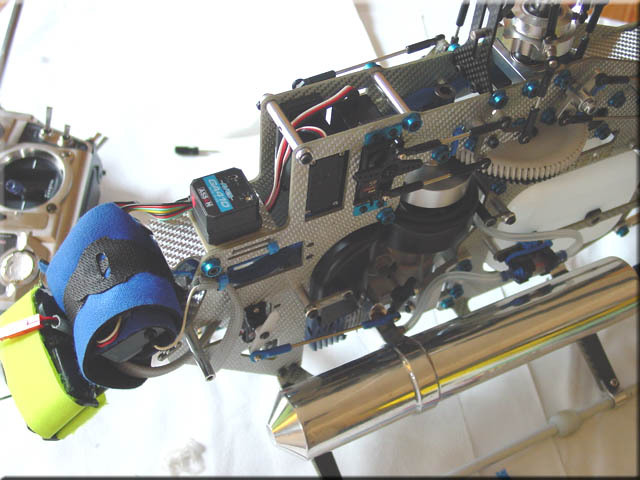 It seems that this gyro is asking for digital servos to get the best of it. In a way having a normal servo tends to make the weak point problems wider. 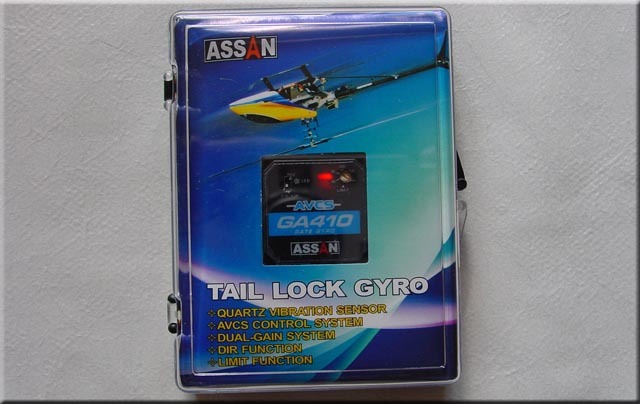 Keep in mind that ASSAN society modify constantly and according to user’s feedbacks the items they are selling. 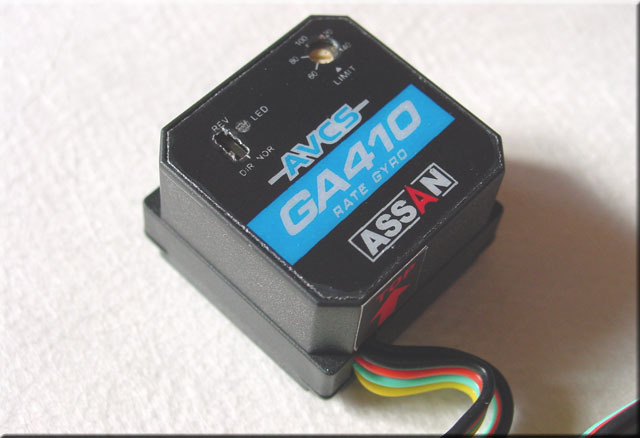 So we could hope that the next gyros like the GA420,610 and GA620 will be a good improvement of the GA410. 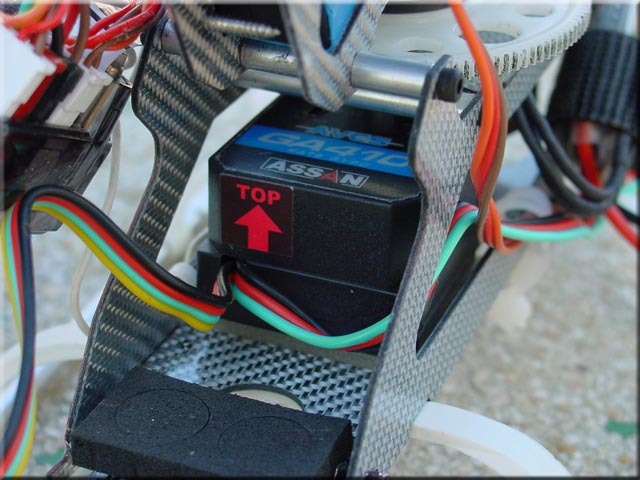 This gyro will fit a large type of flying going to beginner to mild 3D pilots as it’s capability in holding the tail in fast backward flight are not that good. 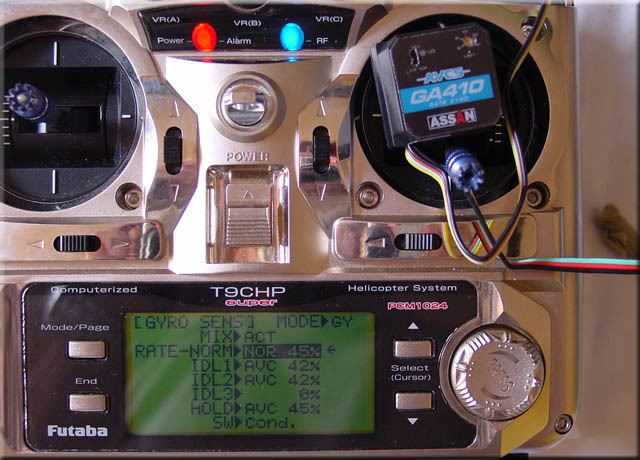 So If U don’t want to spend money in a pricy gyro and if your not into hard 3D then the GA410 is for U. Sorry for the quality, but I took the videos with my sellphone.